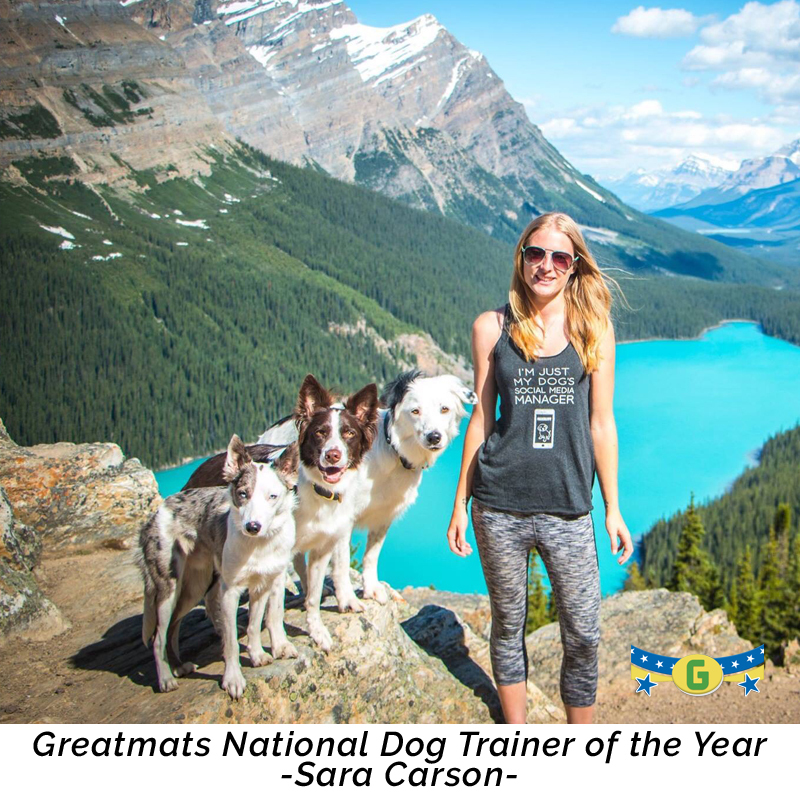 Milltown, WI, December 15, 2017 (Newswire.com) - When it comes to dog trainers, few have had a bigger breakout year than the 2017 Greatmats National Dog Trainer of the Year - Sara Carson of The Super Collies. Dr. Susan Dalton to be featured on Florida-based radio show “Talkin’ Pets Radio this Saturday, January 6th 2017.
methodology and the unique dog treats that make this training extremely productive. win a bag of Dr. Dalton’s Premium Treats. dozens of dogs using the principles of positive reinforcement and her Em-Pet-Thetic training program. To find these special treats, go to www.drdalton.com. could about dog training, and personally developed a highly effective program based on positive reinforcement. hundreds of dogs - specializing in frightened, aggressive and traumatized animals. then, Dr. Dalton has mastered the creation of a dog treat that is both healthy and doggy-delicious. Sarah Hodgson is an accredited dog trainer with close to 30 years of experience who is well known for the “For Dummies” books on training. Her upcoming book, MODERN DOG PARENTING: Raising Your Dog or Puppy to Be a Loving Member of Your Family (St. Martin’s Griffin; On-Sale September 6) is a fun and accessible manual for all dog parents who want to train their dog with a focus on parenting, rather than dominating. Dogs are very similar to humans in many ways – they are able to learn up to 250 words, count up to 5, and imitate human behaviors –so it make sense to treat these intelligent creatures a bit more like children. Hodgson’s family-oriented training methods and gentle style are all the rage right now, with many owners preferring to view their pet as a member of the family. In the vein of The Art of Raising a Puppy, she offers tips on everyday training topics, from choosing the right dog for your lifestyle to living with the pooch day by day. Sarah Hodgson rejects dominance-based training and gets astonishing results with a blend of wit, compassion, energy and proven skills. She communicates instructions clearly, directs behavior compassionately, and rewards success lavishly. Her students—both two- and four-legged—feel valued, confident, connected, and smart. She’s the dog mommy everyone wishes they had. Sarah Hodgson has worked with several celebrity clients, including Chevy Chase, Katie Couric, Glenn Close, and Susan Sarandon, and her platform only continues to grow. She is a weekly HuffPo blogger and has appeared as a guest expert on ABC, CBS, NBC, FOX, The Animal Planet and more. Including a foreword by bestselling author and well-known dog behaviorist Stanley Coren, MODERN DOG PARENTING will show readers that yes, you can love your dog and live with him too. 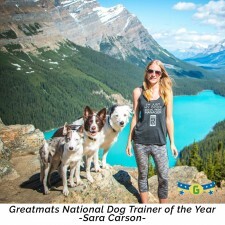 A 30-year dog training veteran, Sarah Hodgson is an Associate Certified Dog Behavior Consultant with the IAABC, and her positive training methods are endorsed by the American Veterinarian Medical Association, the American Humane Society, the American Society for the Prevention of Cruelty to Animals, and the American Veterinary Society of Animal Behavior among others. She is a Huffington Post blogger and author of twelve dog training books. "A must-read for a family who's getting their first dog. Lots of practical information on positive methods of training." —Temple Grandin, author of Animals Make Us Human and Animals in Translation "Modern Dog Parenting is groundbreaking, effective, compassionate, and fun. The overriding message? Learning shouldn’t be scary. It can be edutainment! Dogs look to us to teach, not bully them. It’s more than okay to love a dog like a child and view yourself as their parent—I do—everyone should! I’m excited to find another voice that inspires love, consideration, and respect for pets and their people." —Dr. Marty Becker, "America's Veterinarian", New York Times bestselling author, and syndicated pet columnist "Sarah Hodgson has written a wonderful primer for new dog or puppy owners. The book will also help current dog owners appreciate and understand their dog better and interact most favorably with their furry friend. Think Dogs 101 and you’re right on track with what this book will mean to those who strive for a better relationship with their dog and want to create a friend for life. I give it two paws up!" —Dr. Nicholas H. Dodman, Director of the Animal Behavior Clinic at the Cummings School of Veterinary Medicine and author of Pets on the Couch "A must-read for all dog parents, whether first timers or seasoned. It is a valuable resource for veterinarians as well, many of whom, sometimes myself included, fall short when it comes to solving our patient’s behavior problems. This book has already been a big help to me with my 'not always so perfect' canine crew. Thank you Sarah!" Ingrid King explores our relationships with cats by combining her professional expertise with compassionate insights into how cats can inspire, soothe and even help heal us. In Purrs of Wisdom (Mango Media; June 2016; $14.95; Paperback ISBN: 978-1633532892), King artfully delivers pearls of wisdom celebrating all our relationships, feline, human or otherwise. The book is perfect for cat lovers looking to improve their lives with the help of their feline companion. Ingrid King is the award-winning author of Buckley’s Story: Lessons from a Feline Master Teacher, Purrs of Wisdom: Enlightenment, Feline Style, Adventures in Veterinary Medicine: What Working in Veterinary Hospitals Taught Me About Life, Love and Myself and Tortitude: The BIG Book About Cats With a BIG Attitude and publisher of the multiple award-winning blog The Conscious Cat. Her site is a comprehensive resource for conscious living, health, and happiness for cats and their humans. Ingrid lives in Northern Virginia with her tortoiseshell cats Allegra and Ruby, who also serve as editorial assistants and occasional contributors to The Conscious Cat. For more information about Ingrid, please visit www.ConsciousCat.com. Mango Media is headquartered in Coral Gables, FL and partners with top-rated YouTubers, Instagrammers and bloggers to publish book titles of different genres. The company’s innovative business model is seeking to transform publishing into more of a level creative playing field where dynamic and new authors emerge from social media. Joel Silverman has trained animals for Hollywood films, TV, amusement parks, and he now devotes his forty years of professional experience to helping thousands of pet owners train their dogs. Joel has worked behind the scenes on lots of shows and films, but he’s best known for Good Dog U—his top-rated Animal Planet series that ran from 1999 to 2009. Joel has also authored three books to share his expertise: What Color Is Your Dog?®, Take 2 – Training Solutions for Rescued Dogs, and Bond With Your Heart; Train With Your Brain®. Joel’s first step has absolutely nothing to do with training—it’s developing a great relationship with your pet. If this is something you personally have not done, you really need to take a few steps back and simply get to know your dog. Spend 20 to 30 days learning your dog’s likes and dislikes. Joel believes that if you have taken the time to create that bond, you have ensured your dog’s trust and laid a great foundation for your dogs’ training too. Because of that strong relationship, your dog will want nothing more than to please you, and that drive will motivate him in ways you can build on by knowing his likes and dislikes. This is a great way to start a fun and exciting training program! In more recent years, Joel has stressed individualizing training that caters to dog’s personalities. All dogs are different, and in so many cases dog owners fall into the trap of a one-size-fits-all approach to dog training. Since dogs have such varied personalities, Joel believes they should be trained according to their individual make up. He has created a color scheme to represent dogs’ basic personality types. This helps pet owners characterize their dog to simplify and personalize training. The What Color is Your Dog?® model is easy for the owner to figure out, and makes training easier for the dog too. Joel’s book will help you assign your dog a color that represents the dog’s personality and helps you to understand your dog better. You can then use the color-specific techniques Joel suggests to give you and your dog the most effective and enjoyable training experience possible. Jillyn (aka Jilly/Rottigirl) has been training animals all her life. She grew up on a small ranch style setting in Florida riding the rodeo's with her champion barrel racer Buddy and showing and breeding dogs with her family until she started her own kennel in 1992 in Ca. 'Celestial Custom Rottweilers'. Bachelors degree in Under Water Archeology with a minor in Computer Science and Psychology. She moved back to Fl in 2000 to continue showing her own champion Rotties and having Rotts as working SR dogs, she's been a writer and photographer for The New Barker Magazine of Fl. for the past 10 years. She works the eastern seaboard of all Dog Shows, including the Westminster Kennel Club Show in NYC and Eukanuba Nationals in Orlando Fl. She is well versed in organic nutrition for dogs which has become an one going education for all of her dog clients. She opened Celestial Custom Dog Services of Tampa Bay six years ago incorporating Handling for Confirmation and Show, Basic Obedience , Private Boarding, Family Training with Dog (s), Doggy Day Care and all around animal care for families with pets of all kinds. The love of her life is currently XerXex Kaillias Keiran. He's an ICE Champion and AKC competitor for championships. He is a certified service dog and hoping to finish his National Search and Rescue license this year. Tired of your dog slobbering on your face? Trying to minimize mouthing? What supplies do you need before you bring home a new puppy? What do you do during a thunderstorm or with an elderly animal? For 15 years, Adopt-a-Pet.com has brought companions into the lives of thousands and now, for the first time ever, the editors at Adopt-a-Pet.com present The Total Dog Manual, a comprehensive guide to understanding your furry friend. From understanding a dog’s anatomy and those deep-down doggie instincts to training methods and grooming tips, all the information you need to understand your dog is now at your fingertips. Broken up into three sections–behavior, training and care–and easily organized from puppy-hood to old age, you will learn tips on curbing bad habits, teaching basic commands, vacationing with your dog, communicating effectively and much, much more. The Total Dog Manual’s easy to follow format and step-by-step training methods makes this your foolproof guide to dog care. Dr. Pia Salk specializes in social justice and the human-animal bond. In both her clinical work and in her writing, Pia addresses topics ranging from the loss of a personal companion animal to the climate of animal welfare as it relates to social justice on a broader scale. Her writing is included in the recently published, Pet Loss and Human Emotion. And her extensive involvement in the animal rescue effort following hurricane Katrina has been featured on such shows as Animal Planet’s Hurricane Heroes and 20/20 to name a few. Pia is the spokesperson for www.Adopt-A-Pet.com , North America’s largest non-profit pet adoption website. This site gives adoptable animals national exposure and a chance at being adopted into loving homes. Pia hosts The Save-a-Pet show and is a contributing writer on the Adopt-a-Pet.com website. She covers such topics as why adopting not only saves lives, but makes for good parenting and promotes pro-social behavior in today’s youth. You may also recognize Pia as a frequent guest on The Martha Stewart Show, where she highlights the important role that animals play in our lives and how our societal treatment of animals conveys important messages to our youth. Pia is also a regular guest contributor to The Martha Stewart blog, "The Daily Wag"
Pia has developed programs that pair at-risk teens with animals who share similar histories of abuse and neglect. According to one of her Psychologist colleagues, “She may be little in stature, but she is big on personality. The kids and animals she works with love her ability to roll around and get dirty, both physically and emotionally. She has a knack for reading both animals and humans!”. The buzzword today in dog training is Puppy Socialization – acquainting puppies to the “real world” before they are 16 weeks old through positive associations. Puppy owners have previously been told to wait until puppy shots were completed before taking them outside – which is equivalent to keeping a child housebound until he is 12 years old! Veterinary behaviorists now emphasize that the more positive exposure a puppy has before vaccines are completed, the more balanced and behaviorally fit the puppy will ultimately be as an adult dog – that first 16 weeks is critical. With contributions from top dog experts, this book is endorsed by trainers, owners, and veterinarians, this book gives tips to breeders, owners, and rescue groups on how to socialize puppies safely and effectively. Author and dog trainer/behavior consultant Caryl Wolff is the first dog trainer to be certified by five dog trainer organizations. She has written seven books about dog training and behavior. She lives in Los Angeles with her two adopted dogs and a 42-year-old blue-and-gold macaw, which she has had since he was a fledgling – she confirms that he is her longest relationship….